Datamine’s resource pages take a deeper dive into broad and complex topics our clients encounter on a regular basis when it comes to understanding their data. Some of our longer resource pages are downloadable, so you can read offline and refer back to when you need. Wish you had a magic crystal ball that would give you access to all the elusive customer information you’ve been seeking? You’re not alone. Check out our Customer Insight resource page to get answers to all of your important customer-related questions. Some say that marketing is both an art and a science. We’d say that it comes down harder on the science side – and that the effectiveness of model-driven marketing proves it. 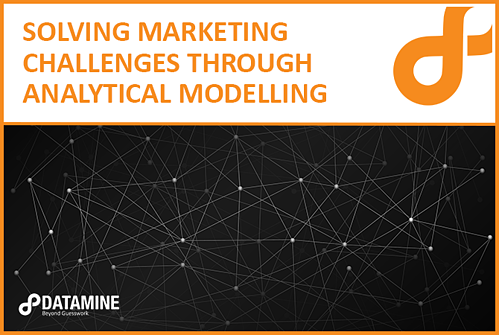 Check out our Analytical Modelling resource page to learn more about the different types of modelling and how they could help your marketing department become more targeted.